The life cycle of an event revolves around uncertainty and multiple risks. From assessing different safety issues to preventing food poisoning, risk management defines our daily activity as planners. As the event professional Julia Rutherford Silvers notes in her book Risk Management for Meetings and events, "Risk management is one of the primary responsibilities of event organizers, yet so often ignored or misunderstood." According to Silvers risk management "should be thoroughly embedded in the event design and throughout its development and production process to ensure the risks associated with the event are managed effectively and cost efficiently." Why is risk management so important for your event? As Peter E. Tarlow specifies, event professionals must understand that it's less expensive to manage a risk before the event than to deal with the crisis after it has occurred. Apart from that, as Tarlow indicates, "Most guests expect a safe and secure environment." Security risks refer to property damage, theft, fire, ... Capability risks highlight our inability to foresee a lack of resources or time in accomplishing event-related tasks. Internal risks include any unexpected changes in the event's design (a new target group, different goals, ...). Finally, the external risks refer to regulatory issues, weather, competition, and other subjects planners cannot directly control. 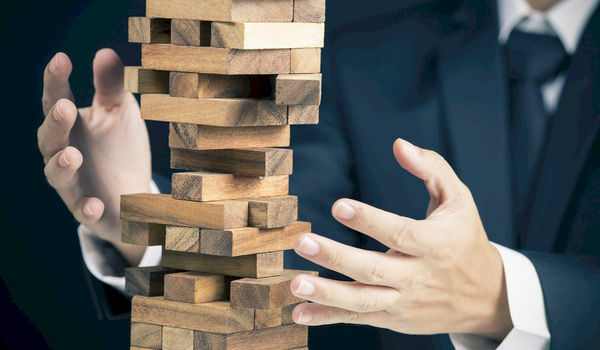 By classifying the risks in various categories, you'll be aware of the vast complexity risk management involves, while at the same time being prepared in the face of uncertainty. Authors Anton Shone and Bryn Parry offer an efficient framework to evaluate the event risks. As they point out, "You will find it a lot easier if you use a logarithmic scale, much like the Richter Scale for earthquakes, in which each whole number on the scale represents a tenfold increase in the earthquake's severity." The authors use a scale from 0 to 10 to identify the severity and the probably of a risk occurring. By trying to position these risks, you'll gain a better understanding about the risk probability. Subsequently, you'll be able to decide, prior to the planning process (or the event itself), whether or not to outsource the time, effort, and money to diminish the severity and likelihood of certain risks. When completing a risk assessment form, it's important to consider all the risks associated with the location itself and the event program. Review the schedule and determine all the possible risks. This will give you a structure and help you avoid missing out some important details about potential risks. As Shone and Parry specify, there are low-, medium-, and high-risk events. The indoor events are the low-risk ones. As the authors note, "The people involved (both organizers and participants or attendees) are well within their range of experience, and there is already considerable expertise and experience amongst management and staff." Medium-risk events refer to indoor events. In this case, the risks come from the logistic complexities. Finally, high-risk events refer to big gatherings of people in unfamiliar and/or outdoor spaces. Note that when planning an event, because of the risks that it involves, you must always make sure to have all paperwork up to date. Whether it's about the drone photo shooting or fireworks, you should consider all the permits you need. You may also want to insure the event in case either party decides to cancel the contract for any reason. This will help you diminish the severity of some risks and have more control over the event itself. The uncertain nature of events requires a detailed risk assessment and strong management. Both experienced and beginner event professionals must take into account the categories of event risks, as well as each risk's severity and probability. Furthermore, when executing the event assessment, it's crucial to focus on the risks involved with the event location itself and the concepts that may derive from the event program. Finally, it’s compulsory to have all the permits and license up to date, and consider getting insurance for your event.